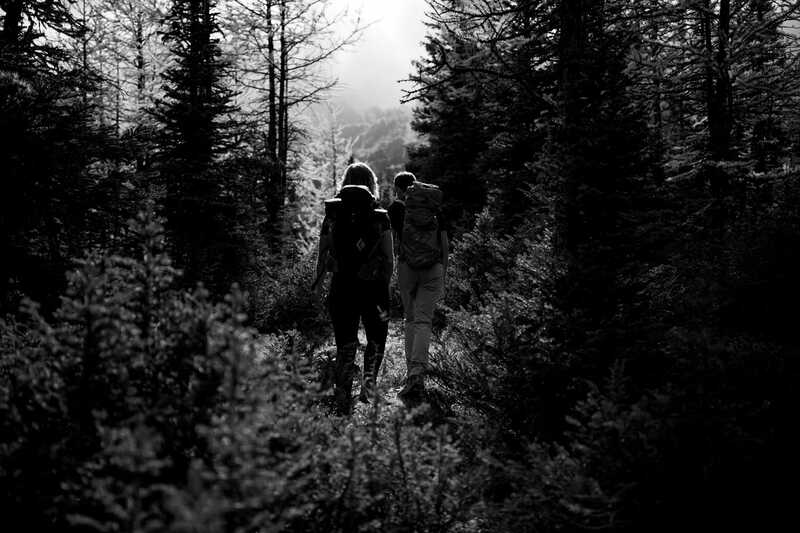 Let's go hiking. A forever session with a different spin. 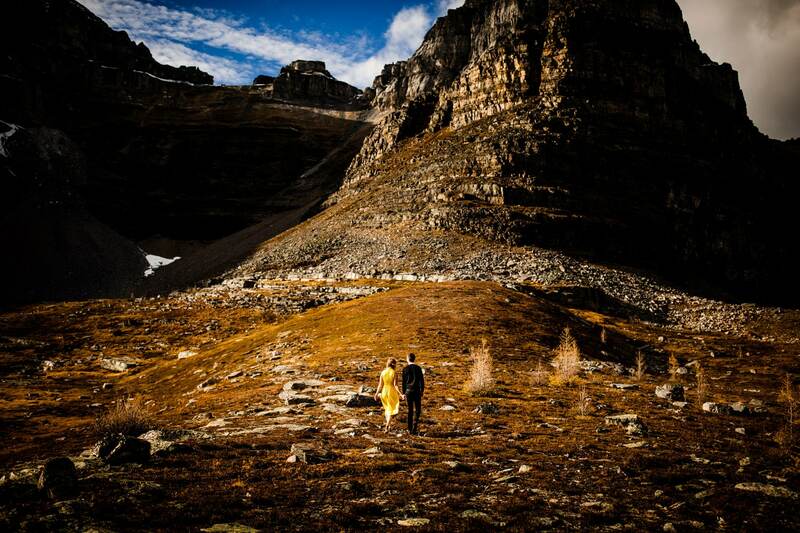 Samantha & Anton wanted a photography shoot like nothing else, and I believe they received their wish. 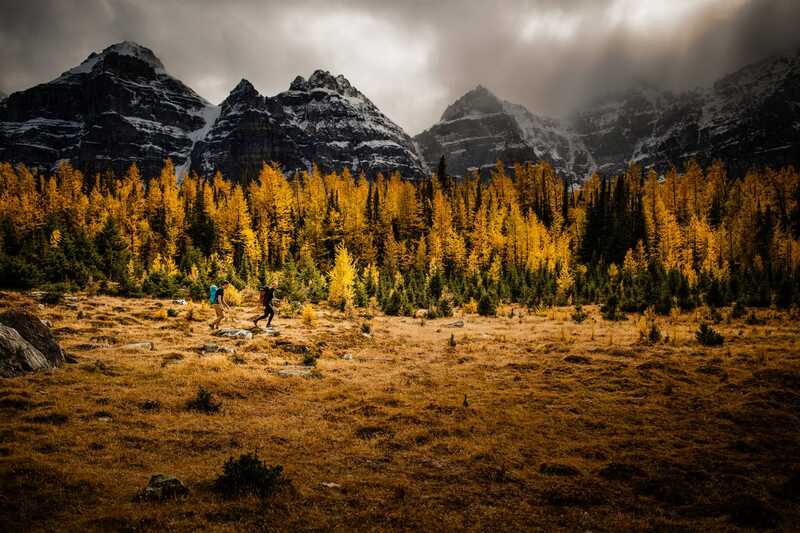 They had to hike many kilometers to earn their photos though. A gallery that showcases a couple who wanted to earn their photographs. 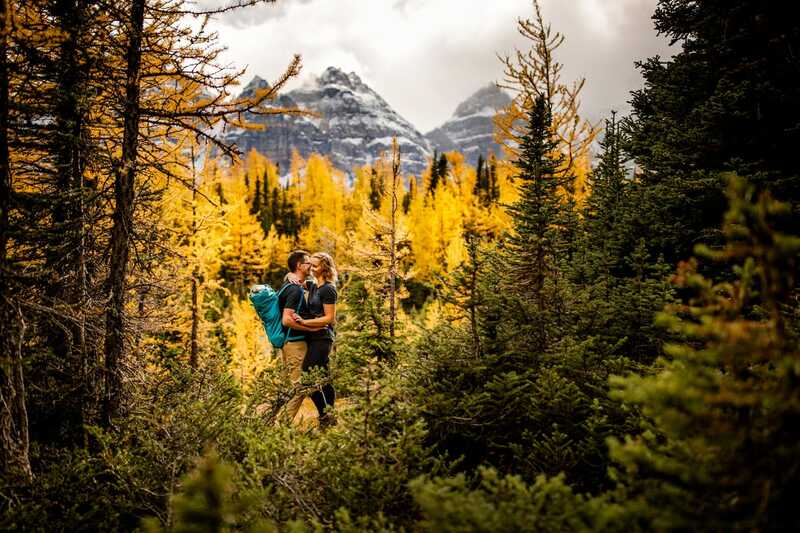 By hiking a good number of kilometers Anton & Samantha set the scene for a gorgeous Fall Shoot set within The Valley Of The Ten Peaks by Moraine Lake. Sentenial Pass was our destination, and within a stone throw, we stopped as the terrain just shy allowed for spectacular views. I was in my full glory as the weather was perfect, I had two fabulous peeps with me, and all that was needed was some music to dance to. So, I pulled out the Bose speakers, and we got right into the groove. After some time, the sun was setting so we set for a quick descent to finish off with a few photos at Moraine Lake. What a super fun shoot, I wish I could feature all my shoots this year as I’ve been so lucky to have many sensational photography sessions.